Adam Segal discusses 'The Hacked World Order,' his new book on how governments use the web to wage war and spy on, coerce, and damage each other. The CFR Fellows’ Book Launch series highlights new books by CFR fellows. It includes a discussion with the author, cocktail reception, and book signing. HAASS: Well, good evening and welcome to the Council on Foreign Relations. I’m Richard Haass, and it is Wednesday night, and it is book night for the second time this week, And, stunningly enough, it’s the second book this week which deals with one of the most complex, pressing, interesting, important national security challenges we face, which is how to manage cyberspace. Did it take you longer to think of that than it did to write the book, or? We’re going to talk for a few minutes, and then we’re going to open it up to you all. Since I was just teasing you about the title, let’s go back to the title. Why the title? SEGAL: Before I answer, I want to thank you, Richard, for support of the book and the—and the Digital Program, and everyone at the Council for all of their support as I—as I researched. I was addressing what had become a very utopian view of cyberspace as a(n) ungoverned space, one that was going to radically empower individuals and bring this widespread free flow of information. And what I saw in what I call year zero, from June 2012 to June 2003, was the radical reassertion of states back into cyberspace to exert their sovereignty and control. And as they’re doing that, they’re creating a new order—a hacked world order. HAASS: OK. So just imagine. You may not have heard—anyone in this room may not have heard this, but rumor has it there’s a presidential campaign going on. (Laughter.) And if we’re lucky, by November the campaign will be over and we will—we’ll have a—we’ll have a nominee—a president-elect. He or she will take office in January. And just say you were called upon to frame the challenge that person, that individual and the new administration would inherit. How would you do it? SEGAL: I think you’d want to frame it both as the domestic challenge and the international challenge. So the domestic challenge is the one that we’ve been struggling with for 20 years; this, how do you actually create some greater security, right? How do you create the incentives for companies to spend more on cybersecurity and build better barriers? How do you get the government to clearly identify what it’s responsible for? And how do you get the public and private sector to work together, all right? Where does the responsibility for the government to defend the private sector begin and end? I think, on the international front, we have this—as you said, this new emerging space, and we have—we have basically no rules, right? We had 60 years of the nuclear age where we had very—a very clear set of rules. We had arms control agreements. We had multilateral institutions. And none of this—well, either—it either doesn’t fit or is going to require some significant reform. March 17, 2016: For the last two weeks police throughout northern India have been on the alert for ten Islamic terrorists who are reported to have recently entered the country via boat from Pakistan. The ten were recently spotted Gujarat and three have been cornered and killed (after they would not surrender). Fir India most of the Islamic terrorist related violence continues to occur in the northwest (Kashmir) where Pakistan supported Islamic terrorists keep trying (and increasingly failing) to cross the heavily guarded border and maintain Islamic terrorist activity in Kashmir. India continues pressuring Pakistan to shut down the Pakistan based Islamic terror groups that specialize in attacking India. Pakistan has unofficially agreed to crack down on groups that seek to operate outside of Indian Kashmir, thus the latest unofficial help. But there are still over a dozen Islamic terrorist training camps In Pakistani Kashmir to support operations in Kashmir. These Islamic terror groups have a lot of fans inside Pakistan, especially with senior military and intelligence officers. That is why Pakistan based Islamic terrorists continue fighting along the Kashmir border and on the Indian side of the border as well. In effect there is a new agreement in which India shares intelligence with Pakistan about Islamic terrorism that actually works. India has a lot of terror related intel that Pakistan does not have. Thus the major factor here is ISIL (Islamic State in Iraq and the Levant) recently showing up in Pakistan and Afghanistan as well as continued attacks inside Pakistan by Pakistani Islamic terrorists who are not suitably grateful for the decades of support the Pakistani military and intelligence (ISI) have provided. This change in attitude is another side effect of the Pakistani military operations in North Waziristan. This has been going on since mid-2014 and has allowed the army to examine a lot of mosques and religious schools (madrasas) that had long been off-limits to the security forces. What was found was ample evidence that many mosques and most madrasas were basically part of an extensive Islamic terrorist infrastructure. The madrasas not only indoctrinated Moslem boys to be Islamic terrorists but took those who agreed to be killers and trained them. Mosques and madrasas were also found to have hidden (at least from public view) rooms for storing weapons, building bombs, training Islamic terrorists and housing veteran (but wanted) Islamic terrorists. In other words, what was found in North Waziristan changed minds among Pakistani officers who were either neutral on Islamic terrorism (at least when it was outside Pakistan) or enthusiastic supporters. There were also a lot of documents captured in these Islamic terrorist hideouts and hundreds of Islamic terrorists were captured and talked. So did many local civilians who had long been silent because the Islamic terrorists executed (or worse) informers. All this evidence said the same thing; the Islamic terrorists were far more powerful and numerous than thought and many of them were willing to destroy Pakistan in an effort to turn the country into a religious dictatorship. How Did The Integration Of Sikkim With India Take Place? Sikkim is a small state sandwiched between India and China (Tibet). Before its annexation, Sikkim was a monarchy ruled by the Namgyal family. The last Chogyal (King) of Sikkim was Palden Thondup Namgyal, the tenth Chogyal of Sikkim. Unlike its neighbors Bhutan and Nepal, Sikkim has held high strategic importance during the British era, because of the land trading route that laid alongside Sikkim- the Chumbi Valley. The Himalayan Kingdom came to the notice of the British Empire while it was looking for allies around the fringes of Nepal during the 1814-16 Anglo-Gurkha War. The Sikkimese who had been victimized by the Gorkhas in the past readily assisted the British in the hope of regaining their lost territory from the Gorkhas, only to lose it again to the British, later. In 1835, the British had secured a permanent presence in the region by persuading the Chogyal of the time, to sign over a small ridge of Sikkimese land, Darjeeling nominally as a sanatorium or hill station. ‘Sikkim: Requiem for a Himalayan Kingdom’ by Andrew Duff highlights the deputation of a British official in the Royal Durbar of Sikkim, after the signing of the Anglo-Chinese Convention, as the first seed sown that will eventually lead to the integration of Sikkim with the Indian mainland in mid 1970s. Even after India got independence, the protectorate status of Sikkim was maintained and the British Officer in the Royal Durbar of Sikkim only got replaced by the Indian Political officer. Although the Sikkimese people took great pride in their Chogyal and considered him as an ultimate symbol of their unique identity, there were signs of discontent against the existing political set up of the state especially from the Nepali community in Sikkim. Although the Chogyal was astute enough to promise the consideration of reforms in the state, as the protesters were outnumbering the royal guards by a huge number, it had ignited the flame. The Department of Defense FY2017 budget request is more up–to–date, and the Comptroller of the Office of the Secretary of Defense (OSD) has issued a separate budget paper on the war—albeit one that seems to assume that there will be no serious losses, and Afghanistan can keep waiting for an effective air force. The State Department does include the Afghan War in its FY2017 request for Overseas Contingency Funds, but this part of its budget request lacks anything approaching a coherent program. The Irrelevant Diplomat Do We Need Embassies Anymore? The embassy, at least in its traditional form, is facing an existential crisis. The global transformations of the twenty-first century have dramatically changed the way nations practice diplomacy. The rise of digital communications, diminishing resources, and growing security threats all raise the question of whether the traditional embassy is still relevant. More than half of the developed nations in the Organization for Economic Cooperation and Development (OECD) have reduced their diplomatic footprint over the last decade, according to our research at the Lowy Institute, where we have constructed the Global Diplomacy Index, which charts almost 6,000 diplomatic posts across nearly 660 cities around the world. As government budgets shrink, embassies and diplomats seem more like expensive luxuries than political assets. It doesn’t help, of course, that diplomats are stereotyped as overpaid and ineffectual cocktail-circuit regulars and that foreign ministries frequently fail to reflect the times. They generally lack diversity and are slow to embrace innovation, even social media. Australia’s diplomats in Indonesia, for example, were still not using social media in 2010, even though Indonesia is the site of one of its most significant embassies, the largest recipient of Australian aid, and one of its most important neighbors in Asia. Despite being described as a “digital dinosaur” in 2010, the secretary of Australia’s Department of Foreign Affairs admitted in 2012 that he still did not consider digital diplomacy a high priority. And with the rising importance of economic diplomacy, governments are more inclined to open trade offices and innovation hubs than embassies. Washington looks for 'existential threats' in all the wrong places. America spent the last thirty years attacking illusory foes or defending purported friends in the Middle East, sacrificing blood and treasure, polarizing our polity and forfeiting influence. Our misadventures resemble a game of blindman’s buff, our record that of a perennial cellar-dwelling football team. Consecutive American administrations turned the ball over several times without moving it downfield. We barge into Middle East conflicts like a drunken bar brawler. What induced this addiction? We are sodden with chauvinist demagoguery and questionable analogies: “appeasement,” “terrorism,” “hostages,” “democracy,” “totalitarianism” and “mushroom clouds.” The invaders of Iraq never envisioned a clash of sects, of civilizations. We overthrew a “totalitarian dictator” with “weapons of mass destruction.” We had won hot and cold wars against totalitarian imperialists, so as losing commanders often do, we fought a past war. The carnage today is religious and dynastic, what the Qur’an terms a fitna. This Qur’anic "discord" is not conducted by global imperialists, but by holy warriors, equipped by local states, dynasties and great powers. This mosaic bears a close resemblance to the Thirty Years’ War and the preceding century of godly disputes—a Christian fitna that lasted not thirty but 130 years. The slaughter of 1618–48 actually began in 1517, when Martin Luther nailed his theses to Wittenberg’s church. Protestants found support among rulers coveting unmitigated sovereignty, while backers of the Counter-Reformation included the Vatican, the Hapsburg Dynasty, Catholic monarchs and the decaying Holy Roman Empire. Today's Islamic fitna commenced in 1979, when Ayatollah Khomeini installed a Shiite regime challenging equally theocratic Sunni Saudi Arabia for Islamic hegemony. 1979 closed with a Soviet intervention to salvage its "godless" Afghan satellite. Thereupon, along with other Sunni Arab rulers, the Kingdom exported its troublemakers for jihad against Soviets and Persians. March 9, 2016: While Chinese economic (GDP) growth has slowed from 10 percent to about five percent a year the defense budget has suffered much less and will still rise 8 percent in 2016. These annual Chinese increases peaked from 2005-2009, when they were 15-20 percent a year. Chinese defense spending is two percent of GDP, about half what the U.S. spends (as a percentage of GDP). According to NATO reporting standards (which take into account the many different ways you can calculate military spending) China is believed to spend about 40 percent more on the military than it admits. That would make 2016 military spending about $200 billion. The decrease in spending increases over the last few years is a result of the international recession that began in 2008. China was hurt by this more than it likes to admit and has internal problems (corruption, inflation, pollution, labor shortages) that continue to hurt their economy. Official Chinese defense spending has more than doubled in since 2005 and is now more than a third of what the U.S. spends. This has triggered an arms race with its neighbors. Russia (ancient foe and current ally) is in the midst of a new military upgrade program that would increase defense spending by a third and devote over 700 billion dollars into the next decade to buying new equipment. That is being quietly scaled back because of low oil prices and sanctions. Japan, already possessing the most modern armed forces in the region, is increasing spending to maintain their qualitative edge. A decade ago China and Japan spent about the same on defense, but now China spends nearly four times as much. Even India is alarmed. Spending only a third of what China does, the Indian generals and admirals are demanding more money to cope. India and China are actually devoting a lot of their additional spending to just bringing their troops up to date. 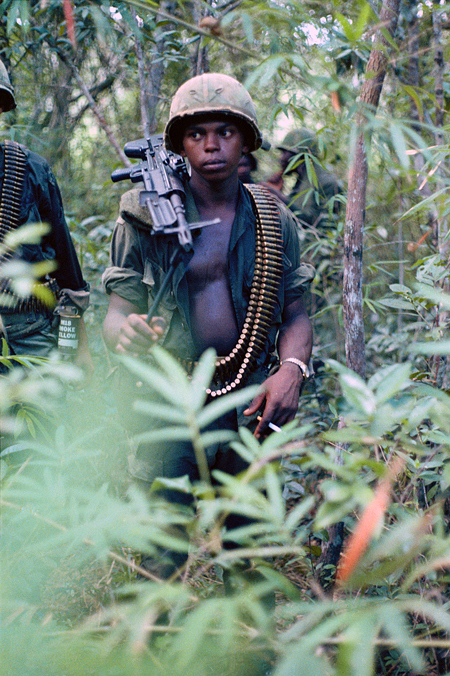 Both nations have lots of gear that was new in the 1960s and 1970s. They don't expect to be as up-to-date as the U.S., which spends over $500 billion a year, but there's plenty of newer, much better, and often quite inexpensive equipment to be had. Meanwhile, the big mystery is figuring out what the Chinese military is up to with all this unofficial spending? This question's been rattling around inside intelligence agencies, and among diplomats, since 2000. There are some obvious culprits. For example the Chinese Coast Guard is not part of the defense budget but it is known to be undergoing enormous expansion. Hundreds of new coast guard ships are being built, most of them large (over 1,000 tons) and many of them 3,000 to 4,000 tons. While lightly armed, these “patrol ships” are very much in use as weapons of war and are being used, in lieu of more heavily armed ships, to take control of the South China Sea and other bits of disputed territory off China’s coast. Another military asset that is off the books is the Chinese Internet censorship system. The Golden Shield (or “Great Firewall of China) is known to employ two million people (many of them part-timers) to censor the Internet in China and regulate who uses it and how. This has direct military implications because such control makes it more difficult for a foreign power to conduct Cyber War operations in China. There is also a lot of military aid to foreign nations that is off the books and directly serves Chinese defense goals. Same with many intelligence operations, including foreign espionage. It adds up. Can China’s anti-ship ballistic missile really hit an American aircraft carrier zigzagging at 30 knots in the Taiwan Strait? That remains unclear as there is no record of China successfully testing its growing suite of “carrier killer” missiles on a moving target at sea. This uncertainty leaves the door open to the possibility that Beijing’s ASBM hype is merely a Sun Tzu ruse to prod America into spending countless billions on new weapons to defend against a chimera. In reality, there are four basic ways to neutralize China’s ASBM threat, and these “four corners” of an American ASBM defense are not mutually exclusive. The US and its allies have been rapidly moving ahead in the development of interceptor missiles. Some poster children for the interceptor missile response are growing up in the“Standard Missile” series being fathered by Raytheon. For example, the SM-3 is geared towards “mid-course defense” – hitting an ASBM early in its trajectory at longer distances and higher altitudes and possibly even in space. In contrast, theSM-6 Dual specializes more in “terminal defense” should an ASBM break through the SM-3 perimeter – and it is equally potent against incoming cruise missiles. While each of these missiles have been successfully tested against isolated missile threats, the Achilles Heel of a missile interceptor strategy is its possible inability to counter the kinds of swarming cruise and ballistic missile attacks that China’s Second Artillery Corps is likely to launch. Such “salvoing” does indeed present both economic and operational problems. Economically, missile interceptor missiles are costly, e.g., about $10 million a pop for the SM-3 and $4 million for the SM-6. Operationally, the question arises to whether you can even fit enough missiles into a strike group’s magazines to shoot down all of the missiles in repeated Chinese swarms – much less fire these missile interceptors fast enough to prevent a mission kill. More migrants will arrive in Italy in the coming months as weather conditions improve, which will reopen the central Mediterranean route and clear new crossings in the Adriatic Sea. Though renewed migration into Italy will not be as dramatic as in Greece, it could create domestic problems and tension with surrounding countries. Rome will try to keep the Schengen Agreement in place, support plans to create a European border and coast guard, and demand the reform of existing EU migration rules. For the past six months, Greece has been at the center of Europe's migration crisis as nearly 1 million people reached its shores by sea, mostly from Turkey. But Italy has been dealing with its own migration problem, one that, while not rivaling Greece in terms of size and scope, could be just as problematic for the fragmenting European Union. According to the United Nations, more than 150,000 people reached southern Italy by sea in 2015, particularly between April and September, when weather conditions make it easier for small boats to cross the Mediterranean. Most of these people, assisted by human trafficking organizations that take advantage of the chaos in Libya, come from countries such as Nigeria, Gambia, Guinea, Senegal, Somalia and Eritrea seeking economic opportunities in Europe. They are less likely to qualify for asylum than migrants arriving in Greece, most of whom are fleeing from war zones in Syria, Iraq andAfghanistan. Furthermore, the European Union does not have a political counterpart in Libya to negotiate measures to manage migration flows the same way it does in Turkey. Over the winter, the central Mediterranean route has been relatively quiet, with fewer than 10,000 people arriving in Italy between January and February. By comparison, more than 126,000 people arrived in Greece through the eastern Mediterranean route during the same period. But migration through the Mediterranean to Italy will resume around April, likely peaking between June and August, once again forcing Italian and European coast guards to launch more rescue operations at sea and provide migrants with shelter, food and clothes. Meanwhile, many migrants on other routes, blocked from continuing their increasingly difficult treks into Northern Europe, will simply start finding alternatives. During 2015 and early 2016, most asylum seekers who reached Greece tried to enter Austria and Germany by crossing Macedonia, Serbia and Croatia. But Macedonia has built a fence on its border with Greece, and a large number of migrants (some 36,000 according to Greek authorities) are now being forced to stay in Greece or find other countries to enter. Moreover, even if negotiations between the European Union and Turkey succeed and Ankara starts taking back migrants who reached Greece from Turkey, migration will not stop completely, nor will EU member states' rising hostility toward migrants deter some from trying to reach their desired destination. Consequently, an alternate route to Italy will likely arise across the Adriatic Sea, using Albania as the transit state. Italian authorities have warned of human trafficking organizations in Albania potentially using rubber boats to cross the Strait of Otranto, which at its narrowest point is only about 72 kilometers (45 miles) wide. It would not be the first time: In the early 1990s, thousands of Albanians reached Italy by boat. To this day criminal groups cross the strait on a regular basis to smuggle drugs into Italy. The strait was even used by a small number of migrants last year. And because all migrants rescued by the Italian coast guard are considered potential refugees and cannot be sent back to Albania, migrants could be incentivized to try their luck across the Strait of Otranto. Analysts often speak in generalities when discussing the relationship between oil and the Middle East. While the all-important commodity is widely understood to be the lifeblood of many, if not most, governments across the region, we often have a shallow understanding of just how important oil is to the Mideast, especially during this era of upheaval and low prices per barrel. Low oil prices don't just affect the wealthy sheiks of the Gulf, but also the Kurdish peshmerga fighters operating on the front line against the Islamic State group. With the decline in market value comes a decline in oil exploration, and diminished budgetary expectations in countries like Iraq that are already hanging on by a thread. Oil profits have long enabled governments such as Saudi Arabia's to lavish their citizens with cheap gasoline and subsidized goods. Those days now appear to be coming to an end. This week, the Memo asked RealClearEnergy editor Bill Murray to help make sense of the unpredictable oil market, and how its current state of flux is affecting the Middle East. RCW: Oil prices and domestic policy often seem to go hand in hand in the Middle East. How are low oil prices changing the behavior of actors and states in the Middle East? Have you noticed a difference? Murray: The short answer is not yet. Granted, the region's oil exporters are girding for some long-term budget pain as the low oil price environment looks set to continue. The Gulf nations of Kuwait, Qatar, and the United Arab Emirates had 2015 break-even oil prices necessary to balance their government budgets of $54, $60, and $77 a barrel respectively, well above the current $35 to $40 a barrel range. The public finances outlook for Saudi Arabia is even worse, since their budget break-even is about $100 a barrel. It's worth remembering, however, that each of these countries have hundreds of billions of dollars in savings in the form of short-term debt, cash, and sovereign-wealth funds that can be drawn on for years to come, so a major change in political behavior has not yet been observable. RCW: Oil prices dipped again this week on the news that Iran would not participate in the oil freeze proposed by large producers last month. Saudi Arabia, moreover,continues to pump oil apace in spite of last month's agreement. What's going on here? Murray: Saudi Arabia is just sticking to its strategy, initiated back in November 2014, to overwhelm the oil market with supply as a way to flush out higher-cost U.S. shale producers and protect its market share in Asia from fellow OPEC members. The Saudis last behaved this way in 1986 after the kingdom got tired of losing customers to OPEC members who were fibbing about their production levels. This, in turn, caused the fortunes of non-OPEC producers in the North Sea, Alaska, and throughout North America to collapse. Now, the Saudis hope to emulate a more successful 1998-1999 agreement between OPEC and non-OPEC members, including Mexico and Norway, that cut production in order to bring prices off a $10-a-barrel floor. The current production freeze agreement caveat -- that all large producers must first participate -- is large enough to drive an Iranian supertanker through, making it much less likely to work in the near-term. RCW: Throughout much of the current oil supply glut, conventional wisdom has dictated that Saudi Arabia is using low oil prices to increase capacity and maintain market share -- refusing to be the "swing producer," as this author put it. But the kingdom is doing all of this amid a costly war in Yemen, and it is reportedly preparing to incur an uncharacteristically large amount of debt to meet budgetary demands. All of this might strike the casual observer as a little crazy. What does Riyadh know that we do not? Murray: While unusual, Riyadh's current fiscal predicament is not without precedent. Again, the Saudi crown has about $600 billion in sovereign wealth to spend before it runs out of cash. Oil prices would have to stay low for four to five years in order to drain those accounts, and as we are seeing, the period of under-investment currently taking place in the oil patch simply sows the seeds of the next price rebound. Back in 1999, when oil prices were averaging $18 a barrel, Saudi Arabia's sovereign debt was over 100 percent of its Gross Domestic Product (GDP). Now, after more than a decade of massive rentier earnings, its debt-to-GDP ratio is 1.6 percent. Meanwhile, the kingdom's GDP rose from about $180 billion in 1999 to $746 billion in 2014 in constant dollars. That said, these massive profits just underscore how finished the oil bull market is for years to come. The Saudi budget deficit reached $100 billion last year, and the invitation to banks for a $6 billion to $8 billion loanrepresented the right time to get its sovereign debt rated in case the "lower for longer" oil price thesis plays out. RCW: Kuwait announced earlier this month that it intends to change the way it prices its oil in order to be more competitive in markets such as Europe. Can you briefly explain these different pricing metrics, and why they matter to Mideast countries looking to sell their oil? Murray: Given the current low oil price, Mideast producers are desperate to sell more to Europe. Kuwait's decision to link sales of its European exports to the dated Brent benchmark gives it a price advantage over similar Saudi and Iranian crudes, which are priced using BWAVE, a volume-weighted average of a day's trade based on a Brent futures price. Brent is the benchmark crude from the North Sea that is the yardstick by which 70 percent of the world's oil is priced. Because so much oil is sloshing around the world's oceans in supertankers at the moment, spot prices -- those physical cargoes that are available on a delivery ‘date' -- are priced more cheaply than cargoes with prices derived from a futures market. Both Iraqi and Kurdish crudes are being sold in Europe using dated Brent prices, sometimes at deep discounts, and Kuwait is simply adjusting to the marketplace. RCW: The press pays a good deal of attention to the price of oil, but not nearly as much to capital costs and oil exploration. How does this vary from country to country? Murray: There are two types of oil companies: those owned by private individuals or masses of shareholders, and those run by state-owned companies ultimately controlled by national governments. The differences between the two are very large in terms of how they invest to explore and produce oil. For publicly traded international super-majors, such as ExxonMobil and Royal Dutch Shell, these companies spend tens of billions of dollars a year searching for and developing oil and gas around the world, and they answer to shareholders each quarter since they are traded on public exchanges. Additionally, there are thousands of smaller companies operating in the tight oil plays of North America -- these are the cultural inheritors of the original "wildcatters" of the early 20th Century -- who must impress investors, typically hedge funds and investment banks, with their stories of potential riches to get credit lines and sell their production forward with hedging strategies that demand they produce oil and gas regardless of the current oil price. Such dynamics are why it took so long for U.S. production to decline from its peak of 9.6 million barrels per day in June 2015 to its current 9.1 million barrels per day in March 2016. In the Mideast, it's all about the national oil companies, or NOCs, that have a near monopoly over their country's resources. For Saudi Arabia, it's Saudi Aramco. In Iran, it's the National Iranian Oil Company. For Kuwait, it's the Kuwait Petroleum Corporation, and many other countries outside the Middle East -- such as Brazil, Venezuela, Norway, and Malaysia -- also have NOCs. To differing degrees, these companies are auxiliary, for-profit units of the national government, sending billions of dollars annually into their nation's treasuries from oil production. The way each NOC operates regarding exploration is specific to each country, but many contract with major Western oil companies and oil-service firms using a version of a Production Sharing Agreement service contract first popularized in the 1960s. These agreements allow private firms to recover their capital and operational expenditures first and split the profits with the NOC afterward, thus putting most of the business risk onto the private companies. The NOC structure allows a state-owned company to operate in the marketplace and still give the national government overall control of its direction. RCW: Where does the Iraqi oil industry stand? Why is Baghdad renegotiating its oil contracts with foreign oil companies, and what will this mean for the Iraqi economy going forward? Murray: The Iraqi oil industry finally had its long-promised "golden-year" in 2015 when it added 700,000 barrels a day of production and exited the year producing 4.2 million barrels a day of crude, breaking an output record set way back in 1979. But the going will only get harder over the next several years as $30 to $40 oil, coupled with the costs of fighting the Islamic State group, have undermined Baghdad's ability to reimburse foreign oil companies that are owed billions of dollars in reimbursements. The international oil companies involved in Iraq's southern oil fields -- BP, Shell, Exxon, Eni, and Lukoil -- operate under service contracts that pay a fixed dollar price for each additional barrel, regardless of the oil price. Such an arrangement means Baghdad will have to renegotiate with the oil companies and continue a policy of "muddling through" that has become synonymous with Iraqi oil development. Could Iran and the US Overcome Their Mutual Animosity to Eradicate Daesh? As the United States is eagerly, if not desperately, trying to build its anti-Daesh (ISIS/ISIL/IS) coalition, Iran is increasingly appearing to be an important potential player in that arrangement. However, despite the fact that the US-Iran nuclear deal is slowly evolving as a result of a steady compliance by the latter, these two countries are not coming together in their common fight against Daesh. The chief obstacle is the long history of their mutual animosity. However, given the mutuality of interests both Tehran and Washington possess about eradicating Daesh that animosity is very much resolvable, if both sides succeed in neutralizing the unfriendly environment that currently prevails inside their respective borders toward each other. Viewing from the perspective of hierarchy of military power, Iran and the United States belong to two opposite ends. The nited States is undoubtedly the most powerful country on the globe, while Iran may best be described as the second most powerful country in the Middle East. Yet both America and Iran are not only palpably apprehensive of each other, but particularly the latter has never acted as if it is intimidated enough by this power differential to kowtow to American hegemony in the Middle East. Despite the fact that Iran and the United states have signed a nuclear deal, Iran’s Supreme Leader Ayatollah Sayed Ali Khamenei, made it clear on many occasions that the chances of US-Iranianrapprochement on other strategic issues are non-existent. By the same token, the United States insists that, unless Iran abandons its militant rhetoric toward Israel and behaves like a ‘normal’ nation in the Middle East, there is little-to-no-hope for the return of an era or US-Iranian comity. Iran never seems to have forgotten the fact that the United States, along with UK, was part of the Western conspiracy to keep it as a servile state. The role of those countries in the nefarious CIA-sponsored coup of 1953 against the democratically elected government of Dr. Mohammad Mosaddeq made an indelible imprint on the collective memories of Iran’s post-revolutionary ruling elites. The second most hateful reality in the calculation of the Iranian rulers was the blind support of the United States of the tyrannical rule of Mohammad Reza Pahlavi. He was not only brought back to the throne after that coup, but was also showered with military wherewithal—for which he paid in top dollars—only to serve the Anglo-American hegemony in the Persian Gulf and the Middle East at large. The Islamic Revolution of 1979 damaged (though did not end) that hegemony. March 8, 2016: Saudi Arabia has been both the source of ISIL (Islamic State in Iraq and the Levant) and al Qaeda and the greatest foe of Islamic terrorists in general. This springs from the fact the Saudi Arabia is where Islam first appeared in the6th century and most conservative Moslems continue to dominate culture and politics there. The Saud family has been able to rule Saudi Arabia since the 1920s by nurturing conservative Islam to gain the support of most Saudis while at the same time destroying any of fringe radical groups that appear and threaten Saudi rule. The Islamic radicals have been a feature of Islam from the beginning and most of them believe that all Moslems should be ruled by a religious dictatorship. That has never worked but the Islamic terrorists keep showing up and Moslem rulers keep crushing these insurgents. For centuries a proposed solution was to modify Islamic doctrine to make it clear that religion and political power must remain separate. Such a “reformation” occurred in the Christian world during the 16th century. Many Moslems are aware of this and there is growing support for an Islamic reformation but even proponents in the Saud clan has never been able to get it done. In part this is because only a minority of Saud princes believe that such a reformation would be a good thing. Most are unsure or feel safer keeping things as they are. That means Saudi Arabia continues to be the largest single source of recruits and financial contributions for new Islamic terrorist groups. All this is the result of a lack of strong leadership in Saudi Arabia. This has created some even more bizarre situations. For example Saudi Arabia has long supported Islamic conservative groups. Yet in 2013 the Saudis came out against the Moslem Brotherhood in Egypt. That was nothing new as after 2011 the Sauds came out against al Qaeda in the 1990s. At the same time the Saudis have no problem supporting Islamic radicals in Syria, including some who belong to al Qaeda. What is going on here? It’s simple. The Saud family has always supported Islamic radicals but only those who agreed that the Saud family should be in charge (of Saudi Arabia and as a leader of the Islamic world). Islamic radicals that changed their minds about this arrangement were the enemy and usually crushed. Thus the Saudis supported al Qaeda until al Qaeda decided that the Sauds were not Islamic enough. That led to a dispute in the 1990s that escalated in 2003 and, so far, the Sauds are winning. The Moslem Brotherhood in Egypt has always been hostile to the Sauds and that has been reciprocated. This was made worse by the fact that the current head of al Qaeda was once a leader in the Egyptian Moslem Brotherhood. This was made worse after the Egyptian Moslem Brotherhood won a 2012 election in Egypt and got cozy with Iran, the archenemy of Saudi Arabia and Sunni Moslems in general. That ended with a Saudi backed military takeover a year later. Iran is especially feared by the Sauds because the Iranians are not Arabs (but rather Indo-European, like most Europeans and Indians) and are openly hostile to the majority (80 percent) form of Islam (Sunni) espoused by the Saudis. The Iranians are Shia, a smaller (about 10 percent of Moslems) sect that conservative Sunnis consider heretics. Centuries ago, after several major wars over the issue Moslem leaders have tended to play down this antagonism. But the mutual hatred remains among the more conservative Sunni and Shia clergy as well as their followers. In the last few decades Iranian Shia leaders have become increasingly aggressive in claiming that Shia should control the Moslem holy cities of Mecca and Medina, as well as all that oil the Arabs now possess. JUBILANT crowds waved Russian flags; homecoming pilots were given fresh-baked bread by women in traditional dress. 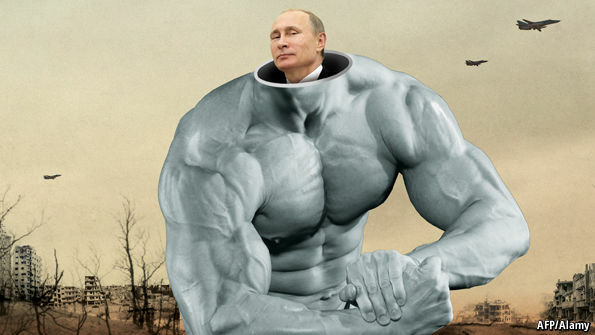 Judging by the pictures on television, Vladimir Putin won a famous victory in Syria this week. After his unexpected declaration that the campaign is over, Mr Putin is claiming credit for a ceasefire and the start of peace talks. He has shown off his forces and, heedless of civilian lives, saved the regime of his ally, Bashar al-Assad (though Mr Assad himself may yet prove dispensable). He has “weaponised” refugees by scattering Syrians among his foes in the European Union. And he has outmanoeuvred Barack Obama, who has consistently failed to grasp the enormity of the Syrian civil war and the threat it poses to America’s allies in the Middle East and Europe. Look closer, however, and Russia’s victory rings hollow. Islamic State (IS) remains. The peace is brittle. Even optimists doubt that diplomacy in Geneva will prosper (see article). Most important, Mr Putin has exhausted an important tool of propaganda. As our briefingexplains, Russia’s president has generated stirring images of war to persuade his anxious citizens that their ailing country is once again a great power, first in Ukraine and recently over the skies of Aleppo. The big question for the West is where he will stage his next drama. Mr Putin’s Russia is more fragile than he pretends. The economy is failing. The rise in oil prices after 2000, when Mr Putin first became president, provided $1.1 trillion of windfall export revenues for him to spend as he wished. But oil prices are three-quarters down from their peak. Russian belts have tightened further because of sanctions imposed after Mr Putin attacked Ukraine. Living standards have fallen for the past two years and are falling still. The average salary in January 2014 was $850 a month; a year later it was $450. Mr Putin was losing legitimacy even before the economy shrivelled. Many Russians took to the streets in the winter of 2011-12 to demand that their country become a modern state with contested elections. Mr Putin responded by annexing Crimea and vowing to restore Russian greatness after the Soviet collapse—“the greatest geopolitical catastrophe” of the 20th century, he called it. Part of his plan has been to modernise the armed forces, with a $720 billion weapons-renewal programme in 2010; part to use the media to turn Russia into a fortress against a hostile West; and part to intervene abroad. March 10, 2016: Russia is developing and testing military grade Cyber War weapons on real targets, and finding out what works and what needs improvement. The problems with this is that most of the testing is conducted on weaker neighbors Russia is not getting along with. For example in late 2015 a large part of western Ukraine suffered a power blackout. Some 1.4 million homes and businesses went dark for several hours because of a computer virus (BlackEnergy) believed to be Russian and deliberately deployed against Ukraine to disrupt a power plants and the electrical distribution system. From the beginning Ukraine suspected that this was a Cyber War attack that was carried out by Russia as it was the kind of attack that had no monetary reward but was the sort of thing one nation would use on an enemy in wartime. Russia denied any involvement but the Russians always say that even when there is a pile of evidence proving otherwise. NATO Cyber War advisers immediately went to work helping Ukraine sort out how the attack was carried out and how to protect against future attacks. The investigation concluded that the attacker had first got access to the networks of three small energy companies using spear-fishing attacks (official looking emails that had an attachment which, when opened, secretly installed software that gave the attackers access to the company network.) After that several other specialized bits of malware (hacker software) were used to map the compromised networks and then carry out crippling attacks. NATO Cyber War investigators found clear evidence of a professional style attack on the energy company networks including careful reconnaissance of the target network to see what items had to be disabled to cause the most damage. The NATO experts gave Ukraine a long list of changes that would have to be made to government and corporate networks associated with all utility (power, water, and so on) and industrial networks. The forerunner of this Ukraine attacks hit tiny Estonia (population 1.3 million) as early as 2007. In response Estonia, a member of NATO, made a lot of changes and in 2015 formed a Cyber War militia. All this because Russia keeps threatening another major Cyber War offensive. Despite its small size Estonia is the most technically advanced (on a per-capita basis) nation in East Europe and was able to recruit several hundred skilled volunteers who are hard at work pooling their knowledge and skills to better handle more Cyber War aggression from Russia. Ukraine, despite being the largest East European nation is much less well prepared form another Russian Cyber War attack. Estonia borders Russia and is a member of NATO. That last bit makes Russia reluctant to come in with tanks to take over like they did twice in the 1940s. Instead Russia made a major effort to crush Estonia via major Internet based attacks in 2007. Estonia survived that “invasion” but admitted that this sort of Russian aggression caused great financial damage. In the wake of these Russian Cyber War attacks Estonia demanded that the UN and NATO declare this sort of thing terrorism and dealt with accordingly. NATO tried to be helpful, but that wasn’t enough. The UN was even less helpful as the UN has a hard time getting anything done when Russia is involved because Russia is one of the handful of founding members that has a veto over such decisions. China and Russia are preparing to attack and disrupt critical U.S. military and intelligence satellites in a future conflict with crippling space missile, maneuvering satellite, and laser attacks, senior Pentagon and intelligence officials told Congress on Tuesday. Air Force Gen. John Hyten, commander of the Air Force Space Command, said the threat to U.S. space systems has reached a new tipping point, and after years of post-Cold War stagnation foreign states are focused on curbing U.S. space systems. “Adversaries are developing kinetic, directed-energy, and cyber tools to deny, degrade, and destroy our space capabilities,” Hyten said in a prepared statement for a hearing of the House Armed Service strategic forces subcommittee. “They understand our reliance on space, and they understand the competitive advantage we derive from space. 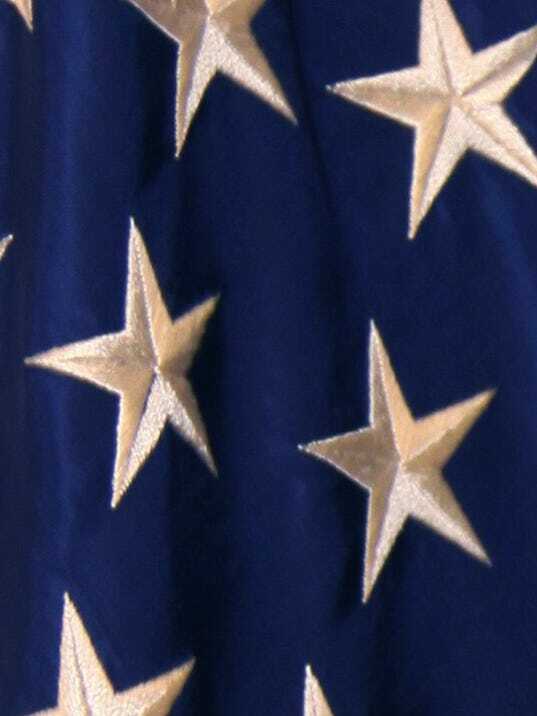 The need for vigilance has never been greater,” the four-star general said. Hyten said U.S. Global Positioning System satellites remain vulnerable to attack or jamming. The satellites’ extremely accurate time-keeping feature is even more critical to U.S. guided weapons than their ability to provide navigation guidance, he said. Disrupting the satellites time capabilities would degrade the military’s ability to conduct precision strike operations used in most weapons systems today. 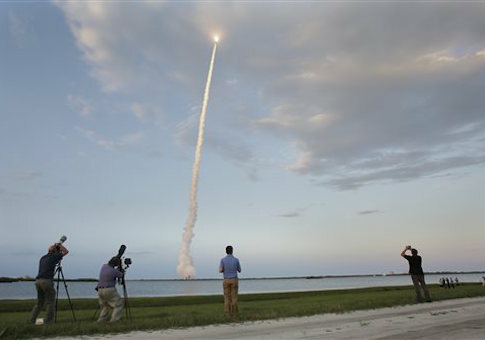 Hyten said a new joint military-intelligence command center is helping to monitor space threats, such as anti-satellite missile launches, covert killer robot satellites, and ground-fired lasers that can blind or disrupt satellites. The unit is called the Joint Interagency Combined Space Operations Center, located at Schriever Air Force Base, Colorado. The Space Command also is creating 39 cyber mission teams that will be used for defensive and offensive cyber operations involving space systems. Lt. Gen. David Buck, commander of Joint Functional Component for Space, a U.S. Strategic Command unit, testified along with Hyten that China and Russia pose the most serious threats to space systems. “Simply stated, there isn’t a single aspect of our space architecture, to include the ground architecture, that isn’t at risk,” Buck said. “Russia views U.S. dependency on space as an exploitable vulnerability and they are taking deliberate actions to strengthen their counter-space capabilities,” he said. Foreign governments are building relationships with criminals and other hackers to hide their attempts to break into American computer systems, the head of U.S. Cyber Command told members of Congress on Wednesday. Rogers, who leads both Cyber Command and the National Security Agency at Fort Meade, said criminals remain the most numerous threat to American networks and people’s data, but foreign governments have the patience, skills and resources to carry out the most sophisticated attacks. In prepared remarks, he focused on how Russia’s state-backed hacking efforts sometimes overlap with the work of criminals. Days after the United States acknowledged conducting warfare over computer networks for the first time, Defense Secretary Ashton B. Carter took the stage at a major information security conference in San Francisco. (Ian Duncan) The admiral’s comments lent weight to those of analysts and lawmakers who have argued that the Russian government relies on criminal groups to carry out hacking attacks. The U.S. government has not named Russia as the suspect in any particular attack, but the country is believed to be responsible for the breach of the email system of the Joint Chiefs of Staff last year. 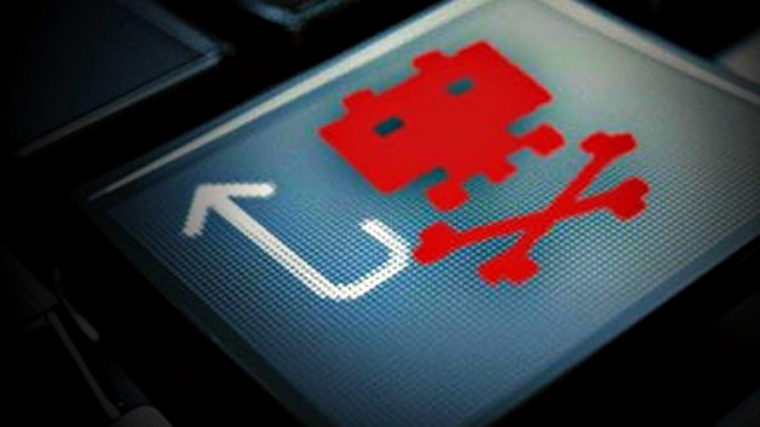 Officials regularly cite China, Iran and North Korea as other top hacking threats. Rogers testified before a panel of the House Armed Services Committee on the budget for Cyber Command. The organization recently announced a campaign against the self-declared Islamic State. WHILE YOU MIGHT THINK THAT WHAT A RUSSIAN APT GROUP DOES TO ATTACK UKRAINIAN INFRASTRUCTURE HAS LITTLE TO DO WITH THE LIFE OF AN IT ADMIN, BUT THEY ARE PROVIDING A SNAPSHOT OF WHERE THE BATTLE AGAINST CYBER CRIME IS HEADED. 06:34, Raleigh, North Carolina – You can probably guess what kind of blog post this is going to be if I’ve already fired up the Internet and am hunting for a suitable quote from the script of the classic 1999 film “Hackers”. It’s certainly a grim day when your business is impacted by a ransomware attack. Just ask the now infamous Hollywood Presbyterian Medical Center, located in Los Angeles, which both the cyber security and mainstream media proclaimed had an initial ransom demand of US $3.6 million dollars (until someone did a proper Bitcoin conversion and realized it was actually $17,000 – still a very hefty sum). Given the success of this particular criminal gang, either the same group or a likely copycat group, managed a couple more paydays in Lukas Hospital in Neuss Germany and the Klinikum Arnsberg hospital in North Rhine-Westphalia Germany. Clearly the prospects for IT security and robust backup solutions have never looked more promising in the medical sector – a vertical well know for atrociously vulnerable networks and the value of the data they store. I’ve written a soon-to-be-released white paper on IT Service Management and Security Awareness in healthcare, based on my experiences these very issues for IT in healthcare. I chose the above line from Mr. Eugene Belford, AKA The Plague, because there are some developments in the cyber threat landscape, especially as it relates to Industrial Control Systems (ICS), which are disconcerting. If you think shutting down a hospital for 10 days is serious, things got a little bit more dangerous just a couple of months ago. At the end of December last year, some major disruptions to the Ukraine’s power generation andairport infrastructure were broadly reported in the media. According to reports and investigations by a US interagency cybersecurity team, the power outages were caused by “remote cyber intrusions at three regional electric power distribution companies”. While other organizations, including those in the critical infrastructure sector, also experienced intrusions, they did not experience the same operational impacts. Reports from ICS-CERTS suggest that the initial attacks came from a fairly common piece of malware called BlackEnergy. However, once the use of that malware was detected the attack changed, with the new payload based on a freely available open source backdoor written in Python. This program was specifically engineered and developed to maintain a stealthy and persistent hold on infected systems. At this month’s San Francisco based RSA conference, the largest global conference for cybersecurity, there were several topics which were prominent. With the proliferation of tools and technologies that are now available to CISOs to battle the cyber war, it becomes a challenge for cyber security leaders to decide where to invest their time and money. One of the key messages coming out of the conference is the corporates must constantly test and retest all of their security measures. Red Team Automation is now being seen as a core part of any organisation’s cyber security strategy. A ‘Red Team’ traditionally works in a covert manner testing an organisation’s weakest points using the same techniques used by organised cyber criminals. The automation of this process deploys specialist software designed for continuous testing. Utilising Red Team Automation, chief information security officers (CISO) can identify weaknesses in their defenses and act to fix them before they are exploited by cyber criminals. Companies can then be certain they are taking the right steps and buying the most appropriate technology products to reinforce their security perimeters. Where necessary, they are then in a position to combine this with appropriate and effective awareness training – a key element in any security strategy as the human link is frequently the weakest link. This is a huge help to CISOs who are struggling to keep pace with the evolving cyber security landscape. While they have budgets and the ear of their boards, they are faced with a bewildering array of security products and services. Aside from proactively assessing your resilience to cyber attacks, it is also necessary for companies to be constantly vigilant for newly emerging threats their organisations face in order to be proactive against them. To do this, companies need to use specialist third parties to monitor activity which may involve social engineering using stolen account details and passwords or coordinating an attack via anonymous forums on the Dark Web or in closed of IRC channels. Can tech community battle Islamic State online without breaking the Web? At the South By Southwest Interactive festival this week, privacy advocates and technologists looked for ways to knock Islamic State militants offline without compromising free speech. AUSTIN — As governments struggle to blunt the Islamic State's digital recruitment efforts, they are increasingly reaching out to technologists, social media firms, and advertisers to find creative ways to thwart the group's message of radical Islam. Appearing in Austin at the South by Southwest Interactive festival, President Obama met last Friday met with groups of technologists and filmmakers to discuss ideas for battling the IS (also referred to as ISIS or ISIL) message online, which includes thousands of Twitter accounts and sophisticated social media campaigns. "It's not enough if we're going to defeat ISIL just to take out their leadership or to control certain territories, if, in the virtual world, they are consistently reaching kids here in the United States or elsewhere in the world and recruiting them and twisting their minds to do terrible things," Mr. Obama said in a speech at SXSW. "We’ve got to be able to penetrate that." In one of the most recent examples of the militants' apparent success of using the Web to radicalize followers, the FBI said Thursday it discovered pro-IS material on the laptop of a Muslim student who stabbed four people last November. Campus police shot and killed Faisal Mohammad, an American-born University of California, Merced, freshman, after he went on a stabbing rampage on campus. Now, as the US government and European officials focus on what social media companies can do to block extremist content, many digital advocates, tech experts, and civil liberty groups worry that an aggressive campaign against IS could also endanger free speech. "Placing private actors in the role of government and the role of arbiter of what speech is acceptable is a really dangerous game," said Rebecca MacKinnon, director of the Ranking Digital Rights project at New America Foundation, a nonpartisan Washington think-tank, who spoke on a panel at SXSW about what the tech community can do block extremist content on the Web. At the Navy’s Joint Tactical Networking Center, Russ Wygal leads efforts to connect not just sailors to each other, but to soldiers, Marines, airmen, Coast Guardsmen and coalition partners. Connecting those forces via radio waveform may not be the first thing one thinks of in an era of smartphones, social media and joint tactical networks, but it’s no less critical to getting the mission done. Recently Wygal sat down with Senior Staff Writer Amber Corrin to talk about how the JTNC works, its new waveform repository and what’s next for military waveforms. Give us an overview — what is JTNC’s role in the broader Defense Department and in military operations? RUSS WYGAL: One of the keys to the Joint Tactical Networking Center is that we wear that purple hat. We support the Department of Defense. We support the services and their program offices. So, we’re across-the-service kind of support: Army, Navy, Air Force, Marine ... the whole gamut there. And, then while we’re doing that, that purple hat allows us to help and support them but also be an honest broker with information if we see them potentially doing something that might not be as standardized — maybe using a waveform that’s not from the repository. It’s an observation that we make to them. We’re not a program office. We are charted by Under Secretary of Defense for Acquisition, Technology and Logistics Frank Kendall … so we’re implementing [Kendall’s] guidance through that charter. But, we do that for the Department of Defense. The other thing that we emphasize is our support to industry that is working on programs and projects either in support of a competition for a government contract or in support of a service or program office. Since we’ve got that hat, that allows us to not be a program office. I can go and talk to, say, Harris in a different manner than I can with a program office that might be doing a competition. I can go and talk to the program offices conversely as well, because I’m more of a neutral party. I lived through Goldwater-Nichols. Congress should know why it's still a bad idea to give the chairman of the Joint Chiefs of Staff, who advises the president, that kind of power. One of the great debates we had within the Senate Armed Services Committee during the deliberations over what became the Goldwater-Nichols Act was a key question: How strong do we want to make the Joint Staff? Today, as Congress and the Pentagon are poised to revisit that historic bill, the same question is creeping back into conversation: how much power should the chairman of the Joint Chiefs of Staff wield – and should that person, the president’s chief military advisor, step into the chain of command? There was not much question that the authority of the chairman of the Joint Staff needed to be improved. Gen. David Jones, chairman from 1978-1982, got the ball rolling by claiming his authority was insufficient for his responsibilities. Failures in the field led everyone to conclude that reform was needed. While the job of chairman of the Joint Chiefs would become stronger, we questioned how strong, and that debate revolved around the Joint Staff. Those who resisted a strong chairman argued that there was a great danger if we turned the Joint Staff into a “German general staff”. I was a professional staffer on the Senate committee but I was pretty naïve at the time and didn’t fully appreciate the significance of the debate. I thought of it as a negotiating tactic, referring to an emotionally-charged concept in order to blunt the reform agenda. I was wrong to discount the significance of the debate. Back in 1947 when the National Security Act was adopted, the same question came up. The United States was fresh off the horror of World War II, and no one wanted a powerful military organization that could dictate to civilians. In the 1950s the debate emerged again about the need to strengthen the Joint Chiefs and the Joint Staff. President Eisenhower personally vetoed the idea of a “general staff”. In the compromises that led to Goldwater-Nichols, the Congress directed that the chain of command go from the president through the secretary of defense and directly to regional combatant commanders. The chairman of the Joint Chiefs was explicitly excluded from being in the chain of command. But the other half of the compromise was the chairman was made the principle adviser to the president and had an independent capacity to report to the president. This compromise led to a dramatically stronger chairman and Joint Staff. Goldwater-Nichols established the practical result that the best officers go to the Joint Staff and other joint assignments. It now has grown dramatically in size and has considerable autonomous power. It’s springtime in the beltway, which means it is time for the FY2017 DoD budget debates. The services are lining up to defend their pet platforms and none more avidly so than the Air Force. Not surprisingly, the FY17 budget proposal requests funds for the F-35 and the Long Range Strike Bomber (LRS-B) and also details Air Force plans to transition out the A-10 over the next two years. It has been the party line of the Air Force that in order to keep the budget under the requirements of the sequester, and to build a future Air Force capable of defeating a near-peer, the A-10 has to go. But just as consistent in this fight is the chairman of the Senate Armed Services, Sen. John McCain. His dogged support of the A-10 has frustrated the Air Force’s efforts to retire the close air support (CAS) platform. This antipathy between the Air Force, led by Chief of Staff Gen. Mark Welsh, and Sen. McCain recently came to a head on March 3 at a Senate Armed Service Committee Hearing. In the hearing, Gen. Welsh reiterated that, with its hands tied by sequestration, the Air Force had no choice but to retire the A-10 in the near future. Sen. McCain, not to be deterred, accused Gen. Welsh of being “disingenuous” in retiring a platform with no foreseeable replacement. McCain asserted that “the A-10s are flying the most effective sorties in Iraq and Syria,” a statement he supported by citing conversations with those “who are doing the combat.” It was at this point that Welsh replied, “we all talk to themChairman,” implying the view from the ground was not as decidedly in the A-10 camp as McCain would suggest. So what is the ground truth about platform preferences on the battlefield? Is the A-10 really the most beloved CAS platform or, as Welsh implied, are the F-16s and F-15s also valued as great CAS platforms by troops on the ground? In 2014, we embarked on a study of air strike controller preferences for manned vs. unmanned aircraft (the results of which are forthcoming). We conducted approximately 500 surveys and interviews of Navy, Marine, Army, and Air Force joint terminal attack controllers (JTACs) and joint fires observers (JFOs). JTACs are an elite group of individuals, trained and authorized to call in air strikes for the ground force commander. They are embedded on the front lines of combat and are experts both in ground maneuver and air capabilities, making them an ideal group of people to weigh in on the A-10 debate. In our research we traveled across the country — from Camp Pendleton to Nellis Air Force Base, Fort Stewart to Fort Bragg — talking to these special controllers. We contacted veterans groups and JTAC social media sites, talked with air-to-ground wing commanders, and surveyed members of the U.S. special operations community. While the study was originally intended and designed to understand preferences for manned vs. unmanned aircraft, we were surprised at how vociferous the desire was across all demographics to talk about the future of CAS. Here's a question that ought to be at the center of the presidential campaign, but has been strangely absent: What strategy should the United States pursue to counter the problem posed by violent radical Islam? Sure, several candidates vow, if elected, to escalate the ongoing military campaign against Islamic State. But Islamic State is merely an expression of a much larger and more complex phenomenon. Carpet-bomb Islamic State into extinction tomorrow and the larger problem remains. To label that problem “terrorism” is to privilege convenience over understanding. It's like calling big-time college football a “sport.” Doing so entails leaving out all the grimy, money-soaked activity that occurs off the gridiron. Those most deeply invested in the status quo--those benefiting from a condition of perpetual war--dismiss alternatives out of hand, arguing that no choice exists but to press on. What Americans refer to as terrorism is more accurately this: a violent outgrowth of chronic political dysfunction and economic underdevelopment affecting large parts of the Islamic world, exacerbated by deep-seated sectarian divisions and the pernicious legacy of European colonialism and further complicated by the presence of Israel, all together finding expression in antipathy toward the West and especially the United States. For the “war on terror” to succeed, it will have to remedy the conditions giving rise to that antipathy in the first place. For several decades now, U.S. forces have ventured into this region hoping to do just that. They have bombed, raided, invaded and occupied. They have eliminated the noxious, liberated the oppressed, succored the afflicted, promoted democracy and undertaken ambitious nation-building projects. While expending trillions, they have fought, suffered and died. Certainly, they have killed in exceedingly large numbers. Their exertions, however, have accomplished next to nothing. The Greater Middle East trembles on the brink of disintegration. From Libya to Iraq to Afghanistan, evidence abounds that the American military project has failed. If anything, the application of U.S. power has made things worse. Marines can expect to deploy in smaller teams in the future, with more responsibility trickling down to junior ranks compared to past large-scale conflicts as the service hones its post-war crisis response mission. Right now, the battalion is the base unit for the Marine Corps, Commandant Gen. Robert Neller said Thursday at a conference on the future of war held by the New America think tank and Arizona State University in Washington D.C.
“I think it’s going to end up being some sort of a reinforced infantry company with enhanced communications and capabilities,” Neller said. As the size of deployed units gets smaller, command responsibilities will likely continue to be "pushed down" to lower ranks, Neller said. "It happened in the last war, " he said. "We had sergeants doing what lieutenants did and lieutenants doing what majors did and majors doing what colonels did and colonels doing what generals did and generals being [political-military] coordinators with coalition forces and the tribes." Infantry battalions are likely to be pulled in many directions, with companies operating across vast distances. This concept is already evident in places like Europe, Africa and the Middle East, where Marines with the same unit are operating across four to six countries. Marines with Special-Purpose Marine Air-Ground Task Force–Crisis Response–Central Command, for example, can be found operating in Iraq, Kuwait, Jordan and Bahrain. While the Marine Corps will still be an air-ground task force 10 years from now, more Marines are likely to face threats different from what U.S. troops have had to deal with over the past 15 years, Neller said. “How many Marines are actually in the infantry as opposed to how many Marines are now involved in communications, intelligence, information warfare, electronic warfare, cyber?” he said. The eyes of the Infantry have a different caste than others. They penetrate where others cannot see and they hold images we all wish were not there. They tell the viewer of the soul of the soldier. They are attuned to a primordial focus and see with great clarity what others cannot perceive. They can be wretched, determined, hoping, wishing, fierce, soft or totally blank. They are the ignition mechanism for the body and its continuous operation. 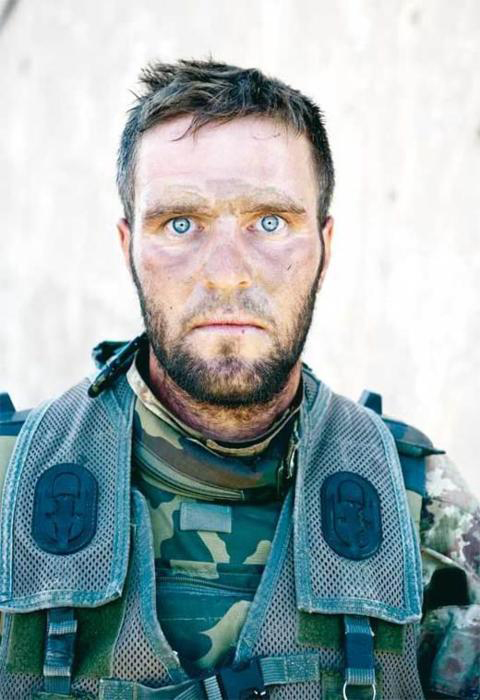 This is the face of the experience of war. Once acquired, it never goes away. It may soften but it does not disappear. It will be recast at a passing sound, sight or reflection. The images of moments past well from deep within and cast a clear countenance. It is a look that only some can reflect-those that have been there and done that. Combat writ large carries a variety of effects on the human. The outside observer may receive a hint from a moment’s conversation but verification quickly comes when the observed eyes suddenly gain a flint-like fix and widen to what might be viewed as almost anatomically impossible. Just as quickly, if in a peaceful environment, they recede into normalcy as a lion might after sating its appetite. Caesar’s Legions had this look as have all combatants who would suppress scenes they saw and cannot forget. Above all, the eyes show commitment. Fighting as an event means very little but it is the commitment the eyes reflect that the bearers are fighting for that only thing that provides the true import and meaning of the event. For those that carry the eyes, it is the fellow combatants mutual commitment to each other that makes the interpretation of victory or failure. These eyes do not easily surrender because of the mutual commitment shared and strengthened by all. One can kill the vessel but that only further steels the resolve of the others. The eyes require the enemy to surrender, flee or die. There are no other complicated scenarios-the eyes tell it all. The look, once acquired, is the hidden gift of service that makes all previous actions worthwhile and of value. They hold the images of life on the leading edge and open the door to the deeply recessed vault of events, friendships and moments of peril mutually shared and acquired. People who possess this look have a far different definition of difficult than those that do not. 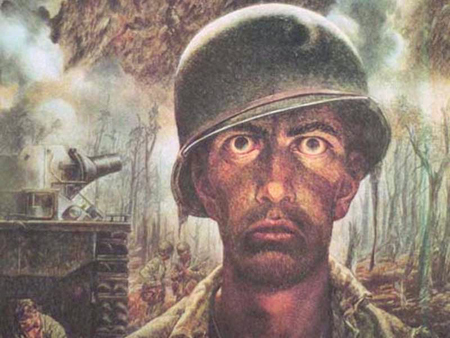 It is the look of Infantry and it remains imbedded to death. Examine the eyes of the Grunt with the gun. The eyes reflect a dozen on-going simultaneous events. He is curious-What is happening over there? What will they have me do? What is our immediate future? He looks somewhat casual but an examination will show he clearly is not. He has a loose belt already in his gun-he is close to having to use it and wonders in what direction. The OD towel under indicates its favored position but also the sensitivity of choice its owner displays-the towel prevents rust from sweat on the piece-it is a small and obscure point but very telling as to the quality of the bearer. He has the apparent insouciant look of the bored, impatient and irritated soldier. That is a sham as can be discerned from his surroundings and his sweep of view. His gun is immaculate for the location and day’s events. His eyes have insured it is as cleaned as is humanly possible. It is his and his companion’s life and the single most important thing he has ever owned or will—The gun is his and his companions life. It is their Excalibur—to be drawn when needed. The external aspects of the gun speak volumes as to his resolve and dedication. He has seen a great deal as his helmet cover reveals and understands his role. His casual demeanor belies the intimate and arcane knowledge he possesses to operate the piece. He was probably selected to own the piece because he understood its value far exceeded its cost and acted accordingly.